Do you need to address crates for international shipments? Looking for a simple way to print on large pipes? 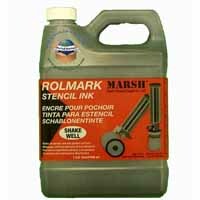 The Marsh stencil machines are the most popular stencil cutters on the market. Stenciling allow for coding and marking boxes, barrels, pipes, crates, wall, and other surfaces with important information. Stencil cutters are available in mechanical or electronic versions and cut messages into oil board. Stencils can be used multiple times and be saved for future use. MSSC Pogo units are available for addressing multiple cartons for shipping by the pallet. Stencils are typed on tissue paper and used for one session. Stencil machines are used to cut messages into oilboard. The oilboard is then used to print the message repeatedly on different surfaces like boxes, crates, and pipes with spray inks or an applicator. Stencil machines use oilboard to cut messages for repeatedly apply to surfaces. The board is soaked with oil to resist ink. 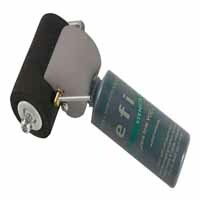 Stencil applicators are used with ink and oilboard to print messages on pipes, walls, crates, boxes and other flat surfaces. Looking for a quick and economical way to hand mark your shipment? 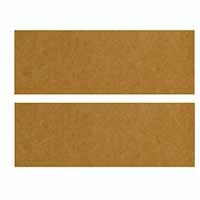 The Marsh contact marking POGO printers, stencils, and inks can mark up to 100 cartons for very minimal cost – much less expensive than using labels that only mark one box each! 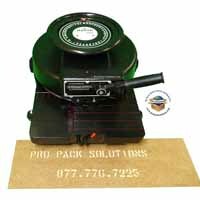 Use the inked contact marking printers and attached stencil for shipment addressing, product identification, and even caution symbols! There are also stock and custom die cut stencils that allow you to choose an already designed stencil for your application, or supply us with artwork that we can reproduce on stencils. This system allows you to hand mark repeatable information for only pennies a shipment. Pogo printers are a lower cost method versus pressure sensitive labels for identifying or addressing cartons on a pallet. Stencil machine to cut the oil board with the applicator filled with ink.